As 2012 approaches and subsequently in the immediate time past 2012, as a result of these shifting, renewing, globally conscious energies, there will be less war, less famine, less hatred, less poverty, fewer diseases. When you read about, when you hear conjecture and speculation about 2012 and beyond, which says that the world is coming to an end, I would agree to that with this point of distinction: the world as you know it is coming to an end. -Archangel Michael. I do want to talk more about the planets and the solar system because, for the longest time, mankind’s gaze has been on the ground. Now for those of you who have read my words in my other text, Into The White Light: The Revelations of Archangel Michael, I began by stating that “Since creation, mankind has looked upon the heavens.” It may sound like I operate in complete contradiction, but for clarity I absolutely do not. When I spoke about the heavens and when we use that word now, I would like to make the distinction that the word ‘heaven’ and ‘heavens’ are reserved for the Kingdom of Heaven. I would specifically like to offer enlightenment on the fifth dimension, sixth, seventh, eighth and ninth and in doing so, I will quite naturally speak about planets, stars, asteroids, and androids. It is the Aquarian Age. It is also approaching the Herculean Age, and therefore, to better understand these two ages for which you and your children and your children’s children will reside in, it is good to know a bit more about them. I say to each of you collectively around the world, look up into the sky, wonder about its mysteries, embrace its complexities, cherish the unknown and do not be afraid of it. Do you know what happens when even a quarter of the people on Earth look up into the sky at the same time? That will be happening in the next ten years—when a quarter of the Earth’s population will all be looking up into the sky at the same time. When this happens, it is called an energetic rift. An energetic rift is like a solar flare in its power and its intensity. Before I tell you why so many of you will be looking up into the sky at the same time, I want to assure you that it is not the end of the world. It is not Armageddon. There will be a chain of events, a chain of cosmic events, which will shake three or four galaxies depending upon your view. • Available on iPhone, iPad, or iPod touch. This book is available for download on your iPhone, iPad, or iPod touch with iBooks and on your computer with iTunes. Books must be read on an iOS device. Also available in paperback through many online booksellers including Balboa Press, and in paperback and kindle versions from Amazon.com. Signed copies may be purchased directly from the author. Signed paperbacks: $19.99 each plus $1.80 sales tax plus $5.00 shipping only within the USA. NEW! 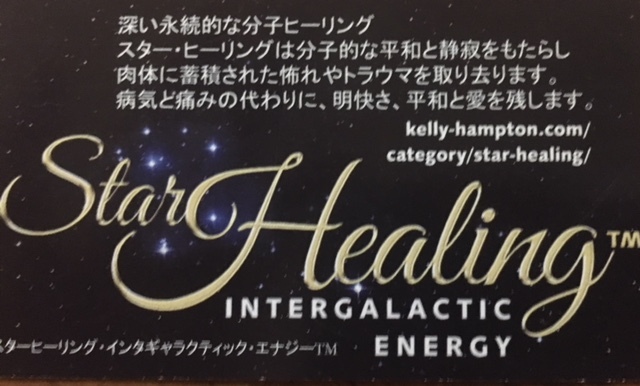 FOR JAPANESE HEALERS AND ASCENDED SPACES PRACTITIONERS. CLICK HERE TO SUBSCRIBE AND STAY CONNECTED. © Since 2018 Kelly Hampton. All Rights Reserved.